Boost revenue while you build a resident fan base. The RealPage® ActiveBuilding® Resident Portal and mobile app is so engaging and easy to use, it helps boost renewals by 2-3% over basic resident portals, time and time again. It’s the only resident portal powerful enough to perform beyond simple transactional processes—it also advances resident engagement and social interaction, which means happier residents. Through our unique messaging hub, social community, and payments platform, residents can connect, pay rent, get notifications, report maintenance issues, and much more. Maximize retention, optimize operations, and save up to 76 hours per month in staff time with the one resident portal and mobile app that offers it all. How a community portal lets residents submit service requests, pay rent online, and get package notifications. Amanda Phelps of Oden Hughes uses RealPage’s ActiveBuilding Resident Portal to enable their residents to put in service requests, pay rent online, check package status –24/7. Plus the message board opens up communication among residents, helping build a better sense of community. ActiveBuilding is the only resident portal solution to offer no limit on automated notifications to residents via text, email and phone—with reporting. ActiveBuilding works seamlessly with most any property management software, automatically adding, changing and removing users in the portal as needed. Our end-to-end online renewal function features a unique shopping cart experience, making it easier—and more likely for residents to renew. 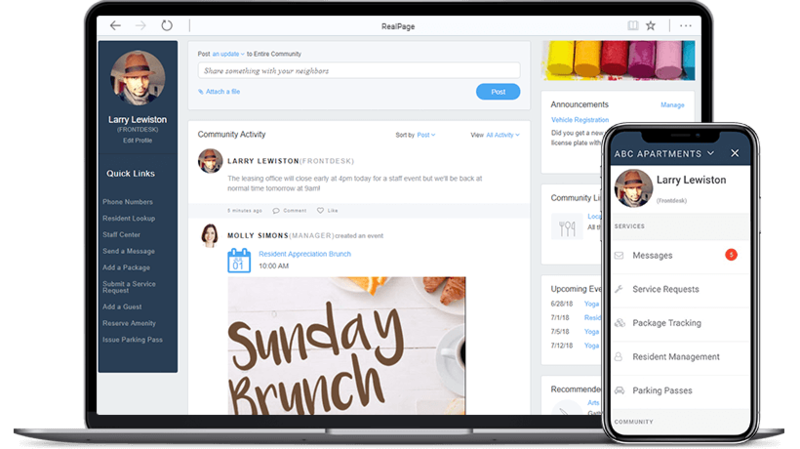 RealPage ActiveBuilding is the only proven social platform where residents can engage with both neighbors and onsite staff. The redesigned ActiveBuilding app, for iOS and Android, makes it easy for your staff and residents to engage with your community—anytime, anywhere. ActiveBuilding Resident Portal is multifamily’s most robust online resident portal for handling transactions and building community connections. Where other portals stop at basic payment processing, ActiveBuilding offers a central hub that enables residents and staff to engage in real time online while expediting maintenance requests, package delivery and other transactions. Residents expect online portals. RealPage delivers solutions they’ll love. Residents connect with neighbors & staff. 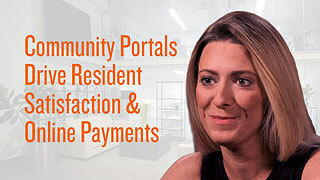 Learn how Wingate Companies uses community portals to drive resident satisfaction and online payments. Our residents demand what you have to offer, and they want to get it their way.